It wasn’t too long ago that security start-up Demisto was merely a notion bantered over at a coffee break. 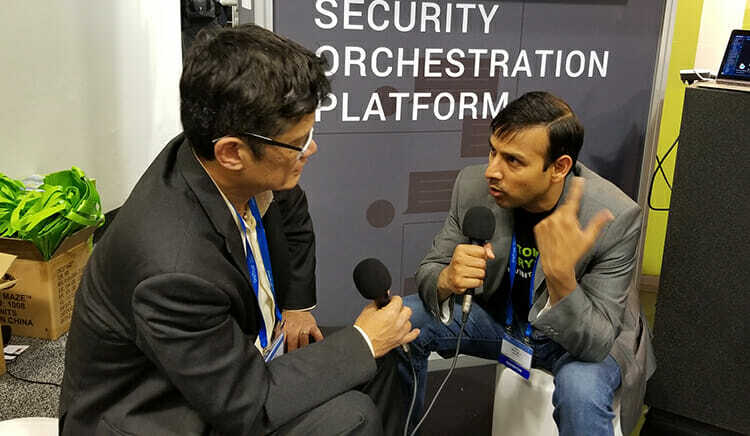 While working at McAfee, Slavik Markovich and Rishi Bhargava would sip espresso and discuss the challenges companies faced getting more effective protection from their Security Operation Centers, or SOCs. They took it a step further by polling security professionals. The feedback they got was consistent. The security pros reported that, despite having invested heavily in SOCs, their organizations continued to struggle making productive sense of endless signals from overlapping detection systems, even as the volume of cyber attacks continues to intensify. What’s more, the shortage of skilled security analysts available to try to make sense of it all continued to worsen. I had the opportunity to meet with Bhargava at Demisto’s exhibit booth at RSA Conference 2018 last week in San Francisco. He relayed a fascinating story about how Demisto was formed to address this need, leaping from a coffee break notion to 60 employees with total VC backing of $26 million in two years. Launched in May 2016, Demisto is bringing a fresh approach to the Security Orchestration, Automation and Response (SOAR) platform space. Companies that have invested in SOCs still run into dead ends all too often. Existing security tools can flag alerts, but “somebody’s got to look at them. If you get an alert, somebody needs to have eyes on it,” Bhargava says, and it needs to be monitored across time zones. Hackers don’t wait for a specific time to strike. Conversations with senior security executives made two things apparent: security analysts were stuck doing too many repetitive tasks, and there was much to be gained if SOC analysts could be freed up to spend more of their time on higher-end critical thinking tasks. Demisto’s technology leverages automation to extract useful intelligence from more than 160 security products, including firewalls, SIEMs, endpoint protection and threat hunting systems. This intel then becomes source material for “playbooks” that pose a series of questions designed to triage security alerts much more efficiently and effectively. By channeling repetitive tasks to machines, human analysts get freed up to use their training, experience and intuition to greater effect. Demisto has gotten traction with this approach inside 12 of the Fortune 500, as well as more than 50 other companies, and has helped SOC teams in those organizations reduce the number of alerts requiring human review by as much as 95 percent. SOAR platforms first began arriving in the cybersecurity market some three years ago. Demisto’s technology, and others like it, represents an important advance; they enable security operations teams to automate and prioritize security operational activities that can range from meeting compliance requirements to detecting and deterring malicious parties already lurking deep inside company networks.